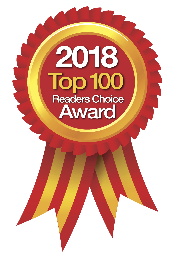 CaerVision, an international leader in chiropractic patient education and in-office marketing, has launched new exam room software, MyChiroPortal, which allows you to customize educational and promotional video playlists for your patients. Since 2007, CaerVision has provided educational videos for physician waiting rooms. 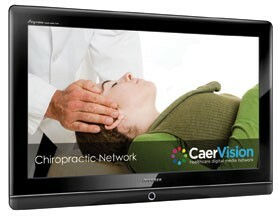 Their MyChiroPortal software offers you access to the same, valuable educational content that was previously only viewable in the waiting room and updated monthly by CaerVision’s programming staff. Now, chiropractors can pick and choose, at a moment’s notice, which videos they want any given patient to view. Additionally, the MyChiroPortal software has a second video library featuring product videos and advertisements. MyChiroPortal was also developed to provide a unique experience for each patient. In the waiting room, every patient views the same segments. Now, in the exam room, patients will experience videos that are relevant to their individual conditions and diagnoses. Doctors or their medical staff need only tap a button on the exam room laptop or tablet, and the playlist begins. 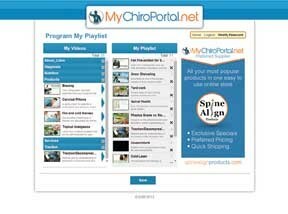 You can start a free trial of MyChiroPortal by going to www.MyChiroPortal.net and submitting the contact form.